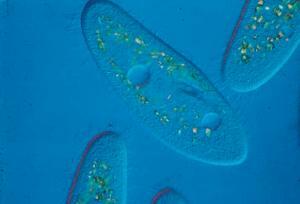 Paramecium aurelia is the smallest species of Paramecium we offer. 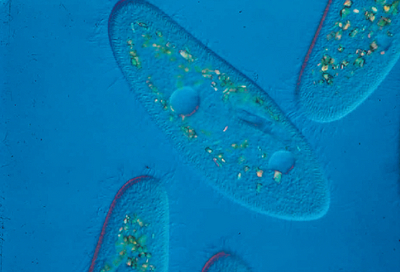 Paramecium aurelia is characterized by cilia, which it uses for locomotion and feeing. Contains a macronucleus and two micronuclei. Grows in Dilute Alfalfa Medium (Hay Medium).